In a seemingly unending torrent of skateboard industry collabs , sometimes, just sometimes one comes along that might actually be noteworthy. 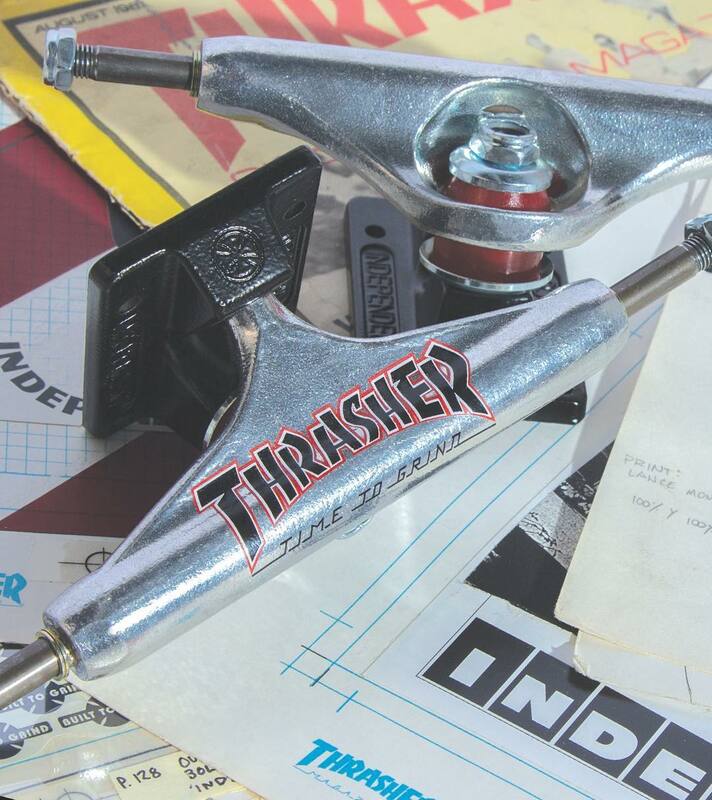 The coming together of two venerable brands like Thrasher and Independent trucks is one such beautiful moment. Despite recent fashionista attention, Thrasher continues to be considered one of the most legit skate media outlets of our time and has been the preeminent skateboard magazine since 1981. Serendipitously, Independent has been considered the finest of all skateboard trucks for generations, even secretly ridden by pros sponsored by other truck companies. When these two proud brands are combined, one of the finest products for turning on a skateboard is born. 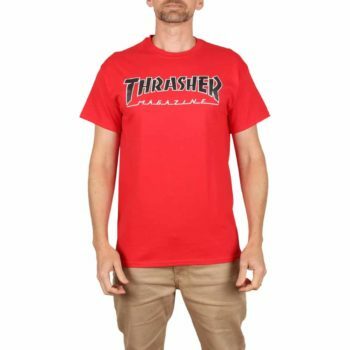 Thrasher has chosen to adorn it’s logo on Indy’s classic stage XI series, stipulating a black baseplate, translucent red bushings and the mighty, often imitated (we are looking at you H&M) Thrasher mag logo outlined in a brash red and white outline. Should you not know what time it is, the Thrasher logo reminds you it is “time to grind” and grind you will on the trusty silver Indy axles. 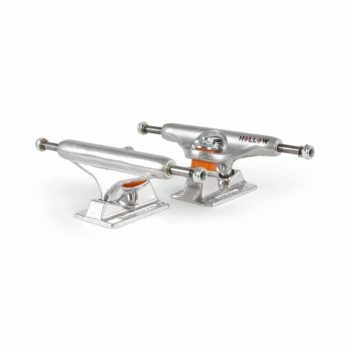 So should you be in the market for new trucks that everyone from street rats to middle-aged shredders to Rihanna fans will recognise, these are the ones for you! The Independent Hollow Forged trucks are some of the most highly regarded trucks on the market, backing up Independent's reputation for the quality of their trucks. 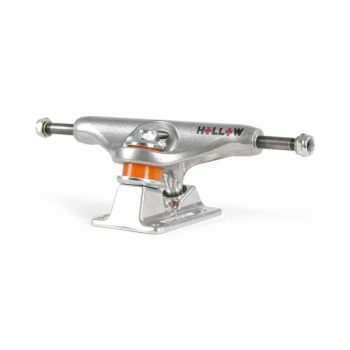 With hollow axles and kingpins making for a lighter truck, whilst the forged baseplate makes for a durable ride. Note: these trucks are sold separately, if you require a set (pair), please enter 2 in the order quantity. 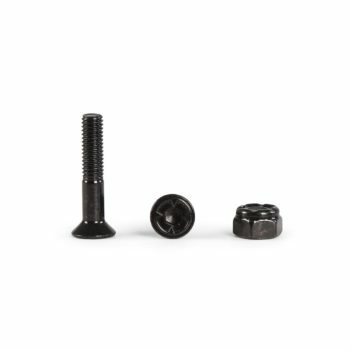 Independent Truck Bolts are a staple of any board setup. 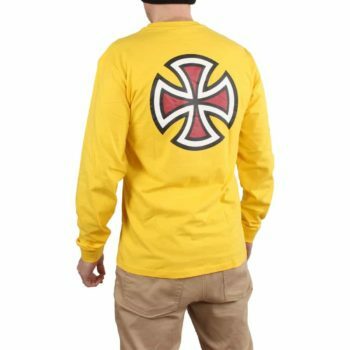 The Independent Bar Cross tee is a premium long sleeved t-shirt featuring a large Independent Cross logo on the back, also with Independent Cross Bar logo down the sleeves. Model is 5' 10" and of medium build. The Independent TC Blaze tee is a long-sleeved t-shirt featuring Independent branded screen prints on the centre chest and down the sleeves. 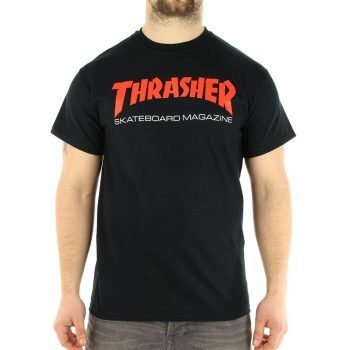 The Thrasher Neckface Invert T-shirt is a quality short sleeved tee featuring a print on the centre chest. Screen printed artwork by legendary skate artist Neckface. 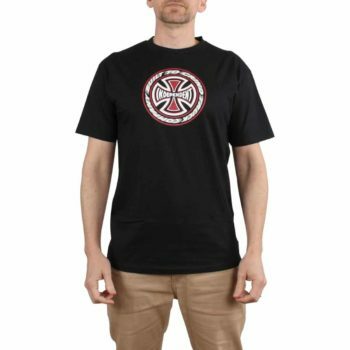 The Thrasher Outlined T-shirt is a quality short sleeved tee featuring a classic Thrasher Outlined logo on the centre front chest. 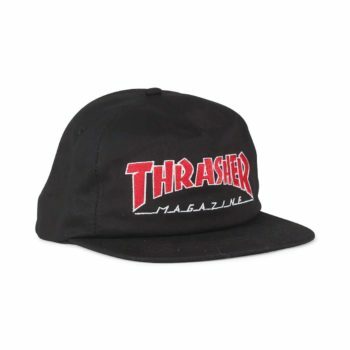 The Thrasher Outlined Snapback is a quality cap featuring a classic Thrasher Outlined logo embroidered on the front panel. 5-panel construction with a embroidered eyelets around the crown. Adjustable snap fastener to the rear. Medium profile with semi-structured reinforcement inner panel. 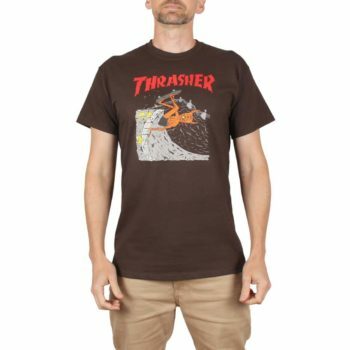 The Thrasher Two Tone Skate Mag T-Shirt is made from 100% cotton with a classic Thrasher Magazine logo one colour chest print on the front, this T-Shirt is comfortable and comes in a regular shaped fit. The Thrasher Skate Mag Hoody is made from 100% cotton with a classic Thrasher Magazine logo one colour chest print on the front, this hoody is comfortable and comes in a regular shaped fit. 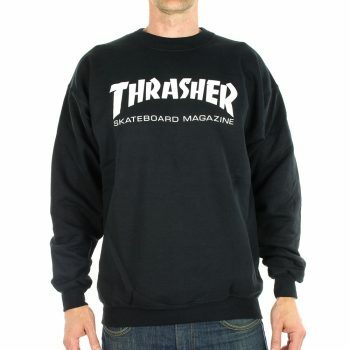 The Thrasher Skate Mag crew sweater is made from 100% cotton with a classic Thrasher Magazine logo one colour chest print on the front, this hoody is comfortable and comes in a regular shaped fit. 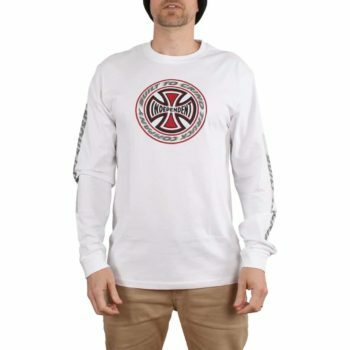 The Thrasher Skate Mag long sleeve T-Shirt is made from 100% cotton with a classic Thrasher Magazine logo one colour chest print on the front, this T-Shirt is comfortable and comes in a regular shaped fit.